India GK Question Sample Paper 27: India General Knowledge (GK) Sample Question Paper No. 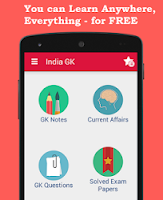 27 with Collection of India GK Questions under GK Quiz in PDF @ India GK Sample Papers. Q.372 Galena is the principal ore of which element ? 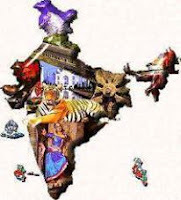 Q.373 Capital Of India Before New Delhi ?? Q.374 Greenland, the largest island in world, is the part of which country ? Q.375 Which pigment is responsible for red colour of tomatoes ? Q.376 What is the pH of water? Q.377 Which city is known as 'Electronic City of India'? Q.380 According to Ramayana, what did Hanuman show Sita as a sign that he is the messenger of Rama?